Hello my sweet friends and followers!! Happy FALL! It may still be feeling a bit like summer here in Michigan, but our porch is dressed up for Halloween and the over-consumption of pumpkin has begun. Yes. I am one of those pumpkin everything lovers. Lattes, Cheerios, almonds, coffee, muffins, pancakes, bread, FRENCH TOAST. Give it all to me!! Sooooo this month I have teamed up with Canyon Bakehouse, maker of delicious, soft (<--- because that's key) gluten free breads to bring you THIS Fall inspired recipe! Mmmhmm. 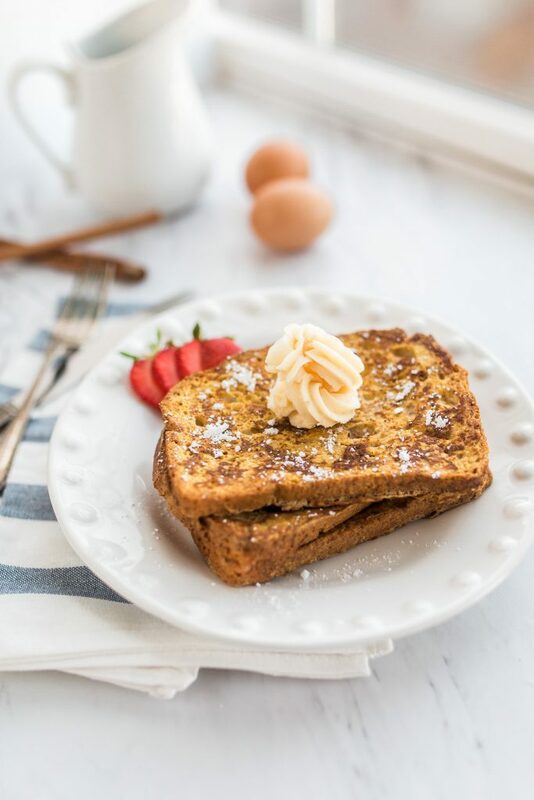 This gluten free Pumpkin Spiced French Toast is PERFECT for a Sunday brunch, or just a regular breakfast, or lunch, and even dinner because eating pumpkin ANYTHING is acceptable at any time of the day. AmIright? Now let me just say I've tried my fair share of gluten free breads, and most don't stand up to the real deal....but this Canyon Bakehouse bread is (dare I say) better?! It toasts up especially nice, is very hearty, and has that soft, chewy texture you crave from carbs! 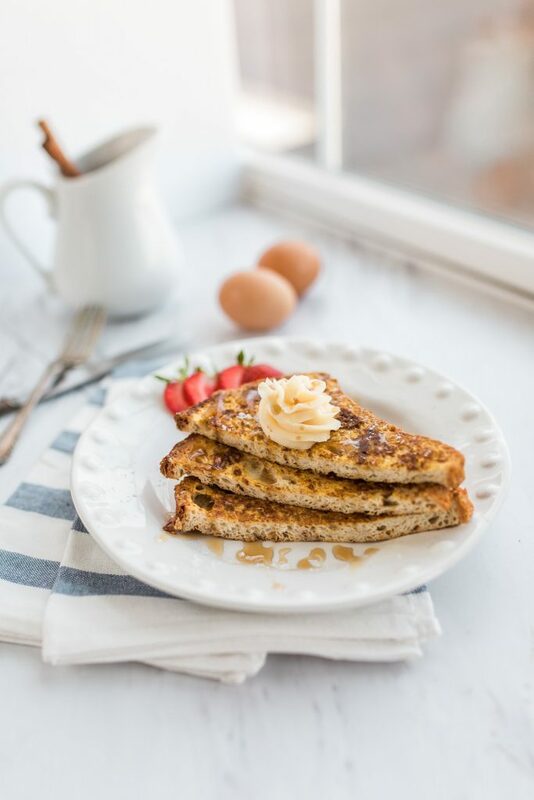 I used their Honey White sliced bread for this recipe, and it didn't disappoint! Keep scrolling for the recipe! Use a beater to beat all ingredients to a smooth consistency. Dallop on top of the warm french toast, or use a piping bag to impress!